Bringing pain into the embrace of compassion… Bless these sweet hearts for sharing their stories and giving hope and fellowship to others. There are many misconceptions about what it’s like to be a sexual assault survivor. One particularly harmful assumption is that survivors are affected by their experience only in the immediate wake of trauma. Every survivor’s experience is different, but many will agree that healing is an ongoing process. Media justice organizer and filmmaker Tani Ikeda is addressing this reality with her powerful new project, Survivor Love Letter. 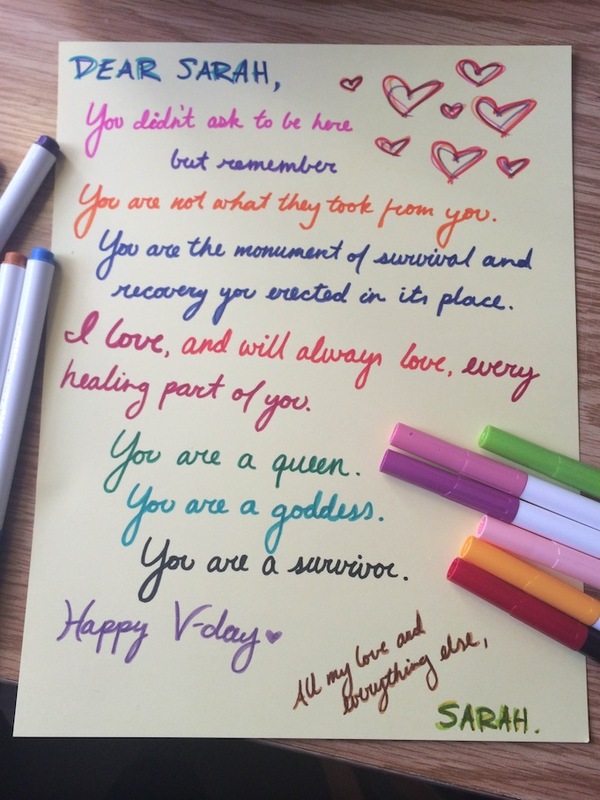 Started on Valentine’s Day, “#Survivorloveletter was an act of defiance, a declaration of self love and a call to allies to honor the survivors in their lives,” Ikeda told Mic via email. Thank you, thank you for sharing this. I’m seeing one of those survivors in about 20 minutes, and I will share this with her. The pain is palpable. Thanks 🙂 Very difficult situation, but we’re seeing progress.